Murray’s victory, however, was short-lived as threats to black voting increased with the passage of state laws making more stringent the requirements for residency, poll taxes, property ownership and literacy, all measures designed to discourage African American voting. Murray lost his House seat in 1896 due to the decreased number of black voters in his district. After his 1896 defeat George Murray resumed farming and developed a real estate business. In 1905, he moved to Chicago to pursue a literary career and to become a professional lecturer. Murray wrote two books, Race Ideals: Effects, Cause and Remedy for the Afro-American Race Troubles (1914), and Light in Dark Places (1926) although he remained active in the Illinois Republican Party, Murray was never again elected to public office. He was however, a delegate to several Republican National Conventions. George Washington Murray died in Chicago on April 21, 1926 in Chicago. 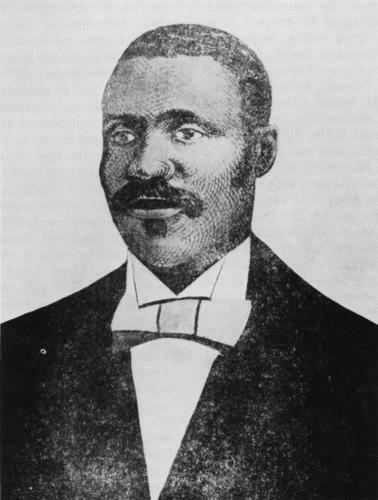 Bruce Ragsdale, Black Americans in Congress, 1870-1989 (Washington: Government Printing Office, 1990); http://bioguide.congress.gov/scripts/biodisplay.pl?index=M001106; Biographical Directory of the George Washington Murray.